OK, i have watched week 1. I found that the most important thing that haven't realized before was the backgammon description that Locke gave Walt. He said something like this "Is the oldest game on earth, more than 5k years, and it has two sides, light and dark." Totally talking about Jacob and his Nemesis. "Each player has seven pawns, and three pyramidal dice each with two red and two white vertices. This is a race game. The goal is to introduce the seven pawns, to move them along your designated path, and to be the first to have all the pawns out of the gam"
i just watched it. it is so weird to see the characters interact the way they do. like sawyer and sayid fighting. also it was cool now that we know more about danielle's story, it killed them, killed them all takes on a whole new mystery. she killed robert, but he was probably turned. also, not as major but the polar bear also has been answered, it was from the hydra station. The main "overall story" bit in this ep is definitely the black/white thing. And Locke holds up the white piece on the right side of the screen and the black piece on the left, just like the opening scene to the finale of S5 where Jacob was sitting on the right and MrX was on the left..
.. i forgot how funny charlie is.. er was..
Jack pulling the trigger aimed at Lockes head- Best Jack moment ever. RIP Jack, I'm glad you made it to where you did. I'm glad you found happiness and peace. You were the hero the island needed and deserved. "John Locke told me I needed to stay." -Charlie doesn't seem to be wearing his DS ring. I could be wrong but I didn't see it. 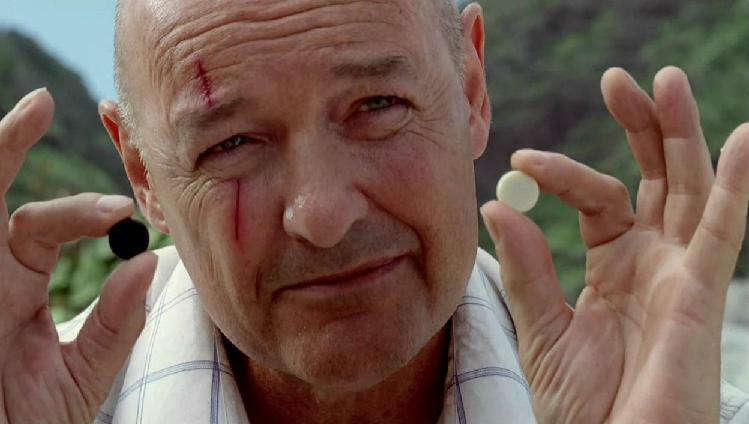 -John Locke and the backgammon speech. Our first introduction to the light vs. dark theme. -One of my favorite scenes, and one that cemented my love of the show- Sawyer shooting the Polar Bear and the subsequent disarming of the gun by Kate. Favorite line? "I just shot a bear!" - Since there wasn't a lot of note in this episode, some serious stretching: When they pick up Rousseau's outgoing message, Sayid says it has been playing for 16 years and 5 months. Last edited by ConstantVariable; 06-01-2009 at 07:54 PM. My write-up on this episode will be posted Wednesday. Above banner by Me. See my full collection -- you can use any of them. That same line stuck out to me when she said it. Kate: Where did that come from? Sawyer: Probably Bear Village, how the hell do I know? Not in this episode though. It's over before they decide what to do.